Protecting your ground support equipment (GSE) is critical. Firetrace has quickly built a reputation in protecting GSE and has become the go-to option, not only for protecting assets but also, more importantly, for protecting the people that get us from landing to takeoff. 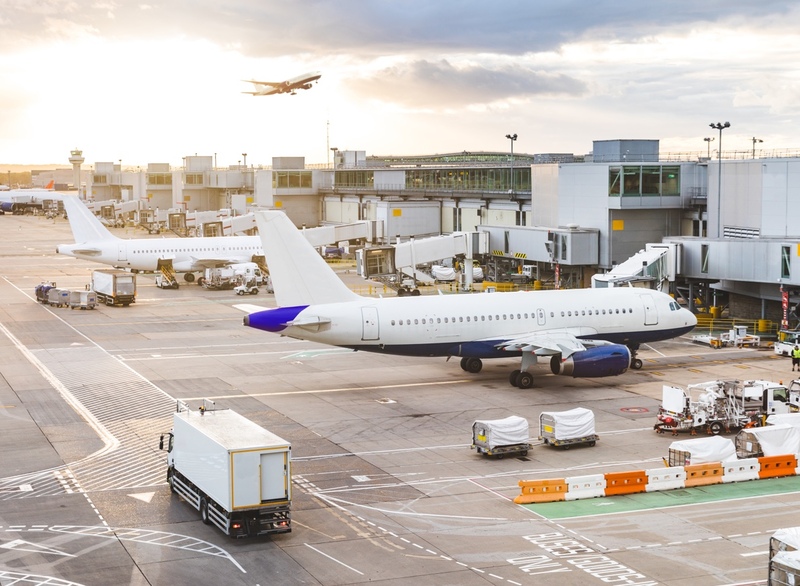 Airport operations are immediately affected when a fire impacts GSE; passenger panic ensues, critical equipment is left inoperable, or in a worst-case scenario, a hull loss could occur, causing significant damages and expenses. Using a towbarless tug to tow aircraft offers improved speed and handling capabilities, but it also introduces fire risks. A towbarless tractor engine is situated directly beneath the cockpit, so a fire originating in the tug's engine could quickly impact the aircraft. A towbarless tug's hydraulic system can also catch fire, if a hydraulic line fails and hot engine components, such as the exhaust manifold, are sprayed with flammable hydraulic fluid. Cargo loaders and belt loaders also have complex hydraulic systems containing flammable hydraulic fluids. Hydraulic line failures in this equipment create a smoke and fire hazard on the tarmac. This type of fire can leave employees with no easy exit route and force them to jump from up to 18 feet or crawl through smoke and fire to escape danger. Ground power units (GPUs), air conditioning units (ACUs), and air start units (ASUs) found in close proximity to aircraft are susceptible to electrical, hydraulic, and engine fires. Fires in these high-value pieces of equipment are a major headache when they occur because the role the equipment plays is vital. Airports aren’t the only methods of mass transit that require protection. Fires in commuter trains or metro rails, subways, buses, and other modes of public transportation are not uncommon. We offer advanced vehicle fire protection systems that detect and suppress fires for light rail, airport terminal trains, subways, and city buses. Our stand-alone systems are ideally suited for ground mass transit and also protect remotely located support equipment, such as transformers, relays, and switches. Protecting port facilities and mobile equipment against the risk of fires presents a unique set of challenges. This equipment is generally used by port authorities that are working around the clock under the most punishing conditions. This stresses the mechanical components to their limit. A Firetrace suppression system is immune to the dirt, shock, and vibration that would cause other fire systems to fail.